If you are one of the many sufferers of dandruff, you know how annoying an itchy and flaky scalp can be. Nobody, especially you, wants to see dandruff on your shoulders or collar every day. There are some good anti-dandruff shampoos out there, but some can make your feel greasy. If you already have an oily scalp, you probably want dandruff shampoo that won’t make you even oilier. So, today we want to figure out what is the best anti-dandruff shampoo for oily scalp. Maple Holistics may not be a very well-known brand name, but this hair growth and volume shampoo, with the added benefit of controlling dandruff, is pretty cool indeed. Maple Holistics Biotin Shampoo is made with all-natural substances. It does not contain any harsh chemicals that will damage or dry out your scalp or hair. However, at the same time, it also won’t leave you feeling all greasy and oily. The main point of this shampoo is to help stimulate your hair follicles and to repair them, so that they grow more hair and stronger hair. It’s a shampoo that can be used by men and women, it’s free of chemicals, it strengthens and improves hair growth, and it helps control dandruff and greasy scalps too. 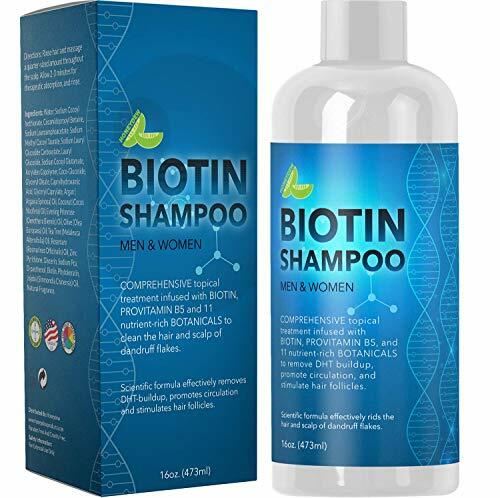 It is also worth mentioning that Maple Holistics Biotin Shampoo is made in the US, something that many buyers will appreciate. There are quite a few good things to mention here. For one, being chemical free and made in the US are both features we really appreciate. Also, the fact that it helps to strengthen existing hair and cause new hair growth are also awesome features. Controlling greasy scalps while also controlling dandruff is more like a side effect here than anything else, but it still gets the job done. There is not much bad to say about Maple Holistics Biotin Shampoo. One thing to mention is that it is fairly expensive. Another thing that needs to be said here is that the smell of this stuff is not the most fragrant. This product comes to us from the same brand as the previous anti-dandruff shampoo, which means that they have to be doing something right. For one, this shampoo smells very pleasant. The sage used here has lots of benefits, but the good smell is one of the best as far as we are concerned. 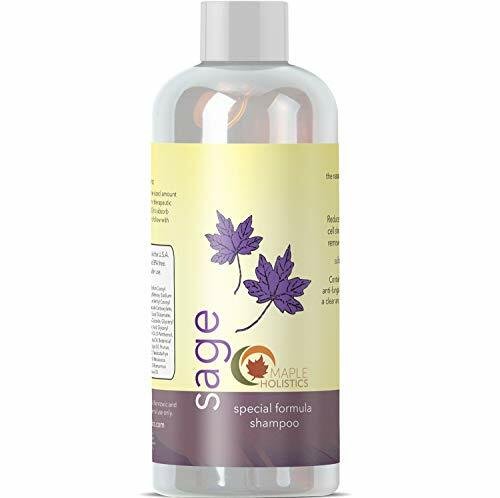 Maple Holistics Sage Shampoo is meant to unclog pores and hair follicles to allow for faster and stronger hair growth, while also fortifying existing hair. The ingredients used in this shampoo are all totally natural and chemical free, so you don’t have to worry about slathering toxic chemicals on your head. The special mix of ingredients are designed to help moisturize and soothe your scalp so that dandruff does not occur. However, at the same time, it will also help control excess oils which make your scalp greasy. The DHT blockers used in this shampoo also help to prevent further hair loss. We like how Maple Holistics Sage Shampoo is all natural and safe to use. The fact that it really does help stop dandruff and prevent an oily scalp is a big deal too, not to mention that it aids in the prevention of hair loss, while also strengthening existing hair. Also, this shampoo smells pretty nice. It seems as though Maple Holistics Sage Shampoo is not the best for people who have very sensitive skin. It works well for mild and moderate dandruff cases, but might not be the best for really heavy cases. Once again, this is not a well-known brand name, but Honeydew does have a great anti-dandruff shampoo we’d like to mention. This is actually one of the cheaper anti-dandruff options out there. This shampoo is full of jojoba oil, tea tree oil, and rosemary. All of these ingredients work together to help control excess oiliness, but at the same time they also hydrate and moisturize the scalp. It is a great way to stop itchiness and control dandruff without making your scalp even oiler. This shampoo is all natural. All in all, Honeydew Dandruff Shampoo is a fortifying shampoo to strengthen hair, increase growth, and treat a variety of conditions like itchiness, dandruff, oiliness, and general scalp irritation. Honeydew Dandruff Shampoo is hypoallergenic, making it ideal for people with allergies and sensitive skin. We actually like the smell of this shampoo, as do many others. 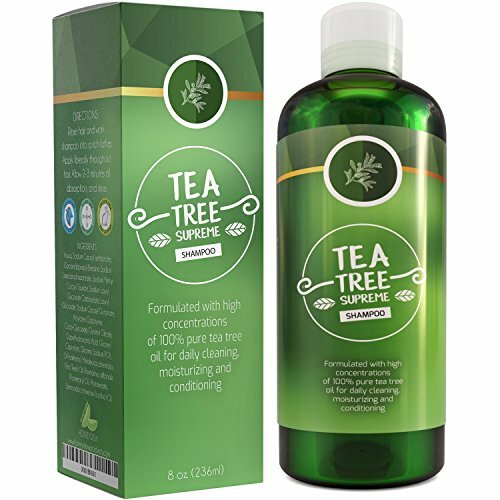 Besides the good smell of Honeydew Dandruff Shampoo, the fact that it actually works to strengthen hair, promote hair growth, control oil, dandruff, and more, are all things that we really like about this particular shampoo. In other words, it actually works. Also, this shampoo comes at a decent price. Honeydew Dandruff Shampoo may not be the best option for extreme cases of dandruff. It works great for milder cases, but heavy dandruff sufferers will probably want to look at other products. In terms of the most effective dandruff control, we would recommend Maple Holistics Biotin Shampoo, with their sage shampoo being a close second.